Siete Catorce began as an alternate project of 25-year old producer Marco Polo Gutierrez. Though initially reminiscent of new cumbia, the project soon went on to form a unique and signature sound. His tracks’ have gained notoriety through their unique mesh of tropical rhythms, both old and new, coupled with intricate drum work –– influenced by styles like dubstep, drum n bass and footwork (to name a few) –– which are often characterized by a disquieting tone, exacerbated by poignant piano motifs and ominous atmospherics. Siete Catorce has quickly scaled the ranks of Mexico’s electronic music elite, thanks in no small part to an unparalleled unanimity among his peers regarding his talent. He has performed in every noteworthy festival and event in his native Mexico (including MUTEK, Boiler Room and Festival Nrmal), and has seen significantly positive reception abroad, playing in cities that include Lima, Bogota, Berlin, Stockholm, and San José (Costa Rica). 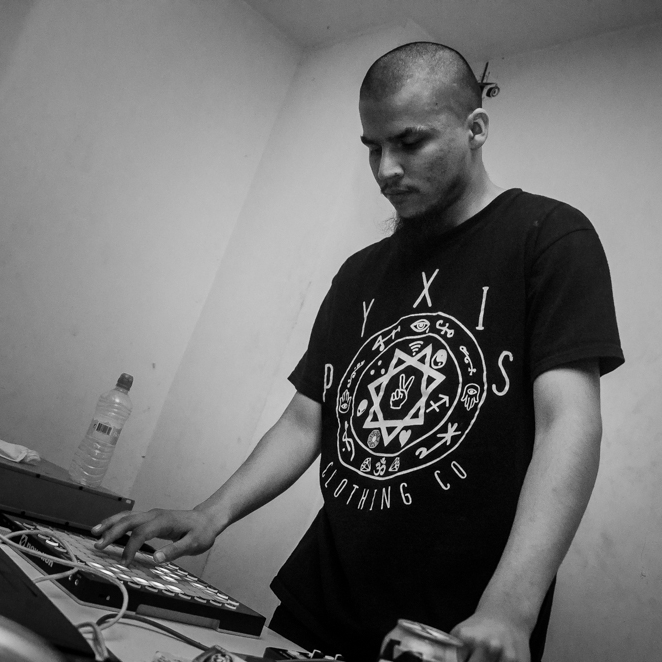 In addition to his work as Siete Catorce, Guiterrez has received much praise for his productions under other aliases like den5hion, an airy and lugubrious take on dubstep in the vein of Burial; Sin Amigos, a bouncy rendition of four-to-floor tech-house colored by intermittent field recordings. Most noteworthy among his ventures are his collaborations with Mexico City-based label/crew NAAFI and his work with Mexico’s ruidosón movement.